2 Bedroom Flat To Rent in Glasgow for £825 per Calendar Month. Blackfriars Court has it all, from the serene residents courtyard to modern refurbished interior, and an outstanding location. 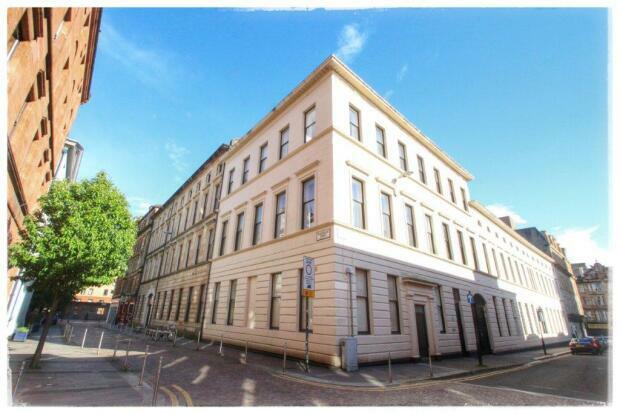 This apartment in the heart of the Merchant City is ideally located for those who want to live in the thick of it, but within the slightly quieter surroundings of Blackfriars Street with no through traffic. With a huge variety of cafes, restaurants, bars, retail and entertainment spots within a short walk, tenants will enjoy every amenity Glasgow has to offer, not to mention the city's central business district for the shortest commute in town. Transport links are outstanding with direct lines to all major British cities including London, Edinburgh and Aberdeen, while closer to home Glasgow's internal bus and train links take tenants to all corners of the city within minutes. This two bedroom apartment is situated on the third floor of this popular development. Externally this traditional property offers a communal courtyard garden and internally offers an attractive and very well presented accommodation. Inside you are met by a reception hallway which gives you access to all rooms. The main living space has a contemporary feel to it with a bright spacious lounge. The kitchen is open plan with breakfast bar. Appliances include washing machine, fridge/freezer and electric hob/oven. There is a large storage cupboard off the lounge which houses shelves and bags of room for household appliances. Both bedrooms are furnished with trendy features. The master is large and has fitted mirrored wardrobes and next door there is a single bed, chest of drawers and wardrobe. The bathroom has a Victorian feel to it with a modern three piece white bathroom suite and shower attachment. Further benefits include electric heating and secure controlled entry system. This property is offered furnished and is ready to go!